The Estate of Otella Robeson has designated finances to go toward providing grants for MCB members to attend summer camp. The grant will cover the cost of the week-long camp of $100.00 or the cost of the extended weekend of $75.00. An individual wishing to apply for the grant must be an MCB member and not have attended the summer camp within the past three (3) years. The MCB Summer Camp Program provides socialization and fun opportunities to legally blind Missourians at Cobble Stone Lodge. Opportunities for canoeing, swimming, doing crafts and participating in a talent show are a few of the possibilities campers may choose from or simply just to relax and enjoy the company of long time and new friends. Attendees are required to pay a small portion of the cost to attend. There are two one week sessions in June and July, and one extended weekend in September. The purpose of the Summer Camp Program is to offer a rich experience of fun, recreation, relaxation and socialization to Missouri Council of the Blind (MCB) legally blind and sighted members as well as other legally blind citizens of Missouri who are not members of MCB. B. Where Should Applications and Checks Be Sent? All applications, checks and communications should be sent to the Missouri Council of the Blind office. Each person planning to attend camp must submit an application with all blanks filled in. See cost schedule on application. All money must be sent by an individual or by families. Do not send an affiliate check to cover all attendees from an affiliate. Checks or money orders must be made payable to "Missouri Council of the Blind". Members of the Missouri Council of the Blind shall pay the amount for summer camp as set forth by MCB. Children of MCB members, who are not yet 18, will pay the amount paid by Members of the Missouri Council of the Blind; not full price. Adults 18 and over who are not members of the Missouri Council of the Blind, and are legally blind shall pay twice this amount. Sighted persons that are not members shall pay full price. 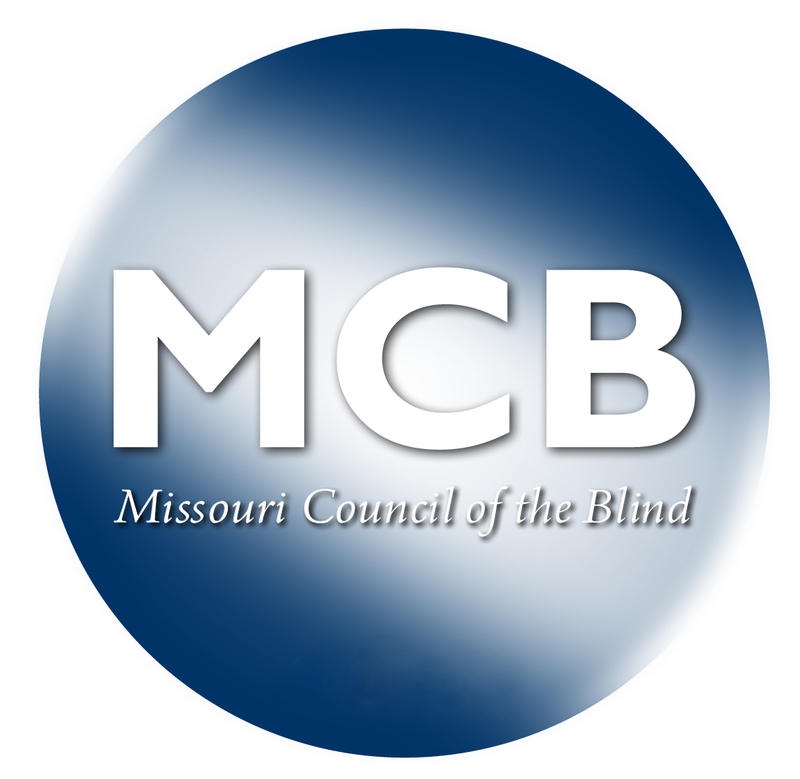 To apply for membership in MCB you may go to: http://moblind.org/forms/MembershipForm.doc or by calling the MCB office at (314) 832-7172 and request a membership application. 1. The Camp Committee will make the decision as to who attends. Preference will be given to legally blind persons and their immediate family (spouse and children under the age of 18 years). Children who are not of the immediate family may attend but will have to pay full price. 2. No pets allowed; guide dogs are welcome and must be in harness while working. Emotional support animals are not allowed at camp. 3. Applications with the earliest postmark will be considered first. 4. Each person shall be allowed to attend one week long camp each year (June, July) and the September weekend camp. Swimming will be permitted during the hours established by agreement with the camp owner and MCB Camp Committee with lifeguard on duty. The MCB will not be responsible for anyone swimming when there is no lifeguard on duty. Campers should make every effort to be neat and clean around their cabins. All those attending camp are expected to be considerate of the staff and other campers and are to demonstrate appropriate behavior. Parents are to be responsible for the behavior of their children at all times. Any camper failing to obey these regulations or to respond to corrective action by the Camp Committee agrees to leave the camp upon request of the Camp Committee. No refund of any money prepaid to the Camp Committee will be made. D. Can I Do Fundraising at Summer Camp? No merchandise is to be sold while at summer camp except in connection with fundraisers for MCB or its affiliates. The Summer Camp chairperson must be contacted in advance and all fundraisers approved by the Committee. One hundred percent of the profits must go to MCB or one of the affiliates. Campers who have complaints as well as requests will make them to the Camp Committee chairperson. Should an emergency situation arise, refunds may be granted at the discretion of the Camp Committee. People who cancel their application two years in a row without a valid reason will be put on the waiting list. F. What Kind of Assistance Can I Expect? There will be no personal care attendants available at camp for people with severe disabilities. A. There will be no transportation reimbursement costs provided for the June, July, and September camps. B. There will be no reimbursements for travel by private car.